Aside from the obvious errors of the magazine, this case particularly piques my interest because it’s a magazine local to me and I know many of the businesses that advertise with them. The whole marketing debacle has inspired me to start the “Not Rocket Science” series, posts dedicated to learning from the competitions’ mistakes. After all, brain science says we’ll get more out of it this way. Here’s what not to do if you’re a small magazine publisher (or any type of business). Don’t Steal. This should be obvious, but apparently not. Cooks Source has been “lifting” content from the web on the regular according to Facebook users. The internet feels like public domain because it’s so darned accessible, but it’s NOT public domain. Aside from legal repercussions, never forget how primal the instinct against thievery is. On the flip side, people love attention and flattery. Credit folks for their work and all should be well (advance notification is even better). Don’t be arrogant/dismissive/plain rude. Everyone makes mistakes, and in general humans are naturally forgiving. If you step on someone’s toes, apologize and offer amends immediately. It would be a very angry-at-the-world person who would still find fault with you after you apologized sincerely. If you step on someone’s toes and are then arrogant, dismissive, and rude about it, you’ll deserve the angry backlash that follows, just don’t be so foolish as to be surprised by it. Don’t mistake any attention for good attention. Not sure this is real, but Griggs was allegedly impressed with the sudden influx of followers on Cooks Source Facebook page. “Well, here I am with egg on my face! I did apologise to Monica via email, but aparently it wasnt enough for her. To all of you, thank you for your interest in Cooks Source and Again, to Monica, I am sorry — my bad! While in some cases stirring the pot of controversy can lead to curious masses buying in just to see what all the fuss is about, it is a risky way of getting attention. Case in point, in one day Cooks Source has managed to alienate most of their small business advertisers (at least according to their advertisers’ public claims so far). Controversy worked for Calvin Klein, but then, Calvin Klein wasn’t stealing from the little guy. Don’t get into Social Media without a plan and some expertise back up. From where I’m sitting (and rubber-necking) it doesn’t appear that Cooks Source had much of a social media plan, nor any professional back-up to consult. For most small businesses a social media failure results in some lost time and resources, and a disillusioned manager/owner. This usually results from the DIY approach, driven by such thoughts as, “I know how to use Facebook” (Yes, and I know how to watch TV, but script-writer I’m not). Don’t make the mistake of assuming that social marketing is easy just because you know how to use the tools. Understanding human behavior online and offline is central to success, but perhaps more importantly, to avoid PR disasters. If you aren’t sure you have a firm grasp on social media, hire someone who does, even if it’s only to have them “on call”. Don’t ignore a PR problem. I don’t know if it’s stubbornness or just plain ignorance on the part of Cooks Source, but so far they’ve barely responded directly to the angry mob invading their Facebook page and throwing up websites and fake Twitter accounts. I don’t know about you, but I’m sitting here pulling at my hair and screaming, “DO SOMETHING YOU FOOLS!” The longer you ignore an angry mob, the louder they get. Never, ever, underestimate the power of the internets. Think you’re too small to get national attention? Not with the social web. Tweak people’s emotions enough and you’ll get plenty of attention. Just be sure it’s not negative. 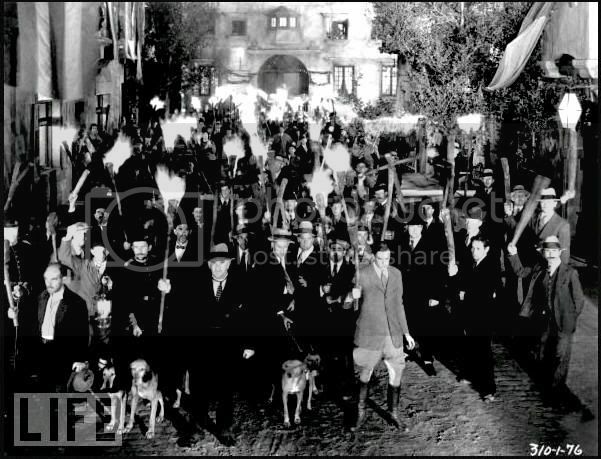 An angry internets makes the angry mob with torches look like a welcoming wagon. The internet offers massive numbers and lightning fast communication with which to spread your bad news and their anger. Don’t abuse the underdog. It’s a law of nature. People root for the underdog. If you are a business, everyone smaller than you can be considered an underdog given the right circumstances. When you abuse “the little guy/gal” you’ve just created yourself an underdog, and it won’t be long before people get between you and the underdog ready to fight for and protect. What do you think? What marketing lessons have you learned from the Cooks Source debacle?